Chelsea flop Jokanovic leads the Glory Hornet Boys back to the Premier League. When Slavisa Jokanovic was appointed manager of Watford, few within the English game knew anything of him. Chelsea fans did, but their memories would not have stirred any great optimism for success. 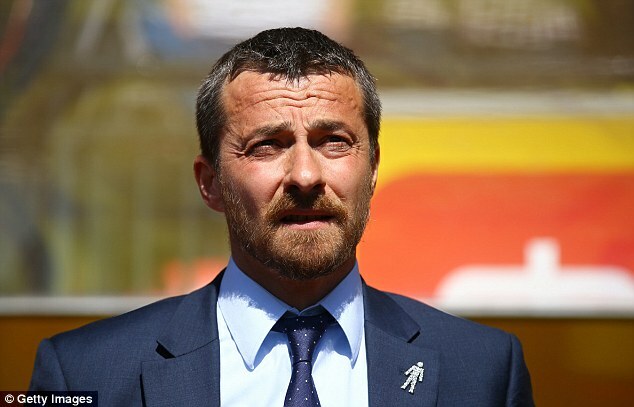 Until October last year, mention the name of Slavisa Jokanovic to any English football fan, and you’ll probably have received a fairly blank expression in return. Mention it to a Chelsea fan of any vintage at all, and you’ll probably get a wry smile, and a nod of fairly unqualified contempt. Jokanovic had been a fairly mediocre holding midfield player, mainly pottering around the lower reaches of the Jugoslav and Spanish leagues until, in October 2000, ‘Tinkerman’ himself, Claudio Ranieiri, signed him for Chelsea. These were the pre-Abramovich days when a £1.5million fee was a fairly big deal, and Blues’ fans were probably expecting some quality to come along. For many aficionados however, such an attribute was in very short supply. Allow me to illustrate the point. Before arriving at Stamford Bridge, Jokanovic had made around 350 appearances for various clubs, scoring 66 times. In 39 games for the west London club however, he never troubled the scorers once. Being old enough to remember the times myself, the only surprise is that he managed to get on the field 39 times, and lasted 18 months. A little unfair? Perhaps, but it never felt so at the time. Jokanovic’s time at Chelsea consisted of 39 fairly forgettable performances. Unconfirmed rumours at the time, suggested that Ranieri and Jokanovic shared the same agent, and that this was somehow a catalyst for the move. It’s difficult to confirm or deny such speculation, but if the purchase was solely based on Ranieri’s assessment of the quality of the player, and what he would add to the Chelsea squad, the Italian’s judgement was well wide of the mark. After an dispiriting 18 months at the club, Chelsea moved the Serb on to Ciudad Murcia in the backwaters of the Spanish second tier, from where English football surely never expected to hear from him again. Until, that is, October 2014. When Watford owner Gino Pozzo dismissed Billy McKinlay, after a mere two games in charge, and appointed Jokanovic as manager, only the most optimistic of Hornets’ fans would surely have foreseen the success he would have. With the season only into its third month, the Serb became, no less than the fourth man to take control at Vicarage Road since the start of the season. Watford had kicked off in August with Beppe Saninno at the helm. The Italian had been in charge since December 2013, and as that season drew to a close, he guided the club to a record sixth successive home win without conceding a single goal. Things looked well set for a good season ahead. Such harmony was to be short-lived however. With Watford winning four of their first five games of the season, and sitting second in the championship, amazingly rumours began to emerge about discontent in the dressing-room with regard to Sannino’s training methods. Before the end of August, he had resigned, and moved to manage Serie B side, Catania. Oscar Garcia took up the reins, but ill health compelled him to resign less than a month into his tenure, and the club turned to McKinlay to steady the ship. The Scot had been a coach under Garcia and was well-liked and respected by the squad, and clearly thought he had a chance at holding down the job long-term. He even resigned from his position as Northern Ireland’s assistant manager, to devote more time to the Vicarage Road club. Nevertheless, eight days later, he was replaced by Jokanovic. Despitr being initially unpopular with both players and fans, the Serb has now guided Watford back to the Premier League. It’s often said that mediocre players make the best managers. Ferguson, Wenger and Mourinho certainly fit that bill, although there are always others that test such a truism. 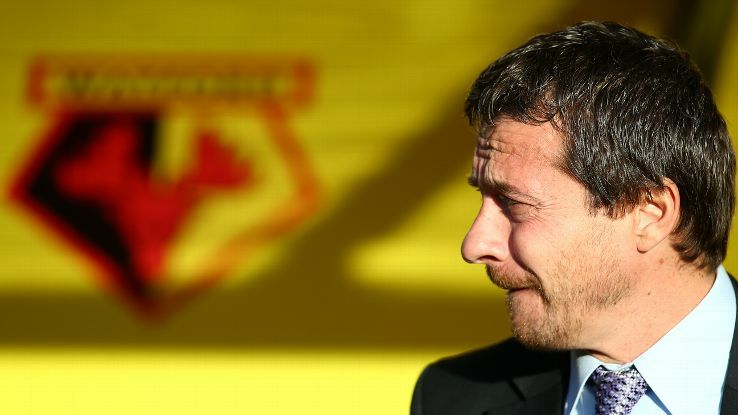 Watford fans will however be hoping that in Jokanovic’s case it may hold true. For their part, Chelsea fans will readily attest to the first part of the equation being valid.